Our Frisk Black Black Card Pads contain 20 sheets of heavy weight and high quality 350gsm black card. These smooth, crisp and striking black sheets are the perfect surface for a variety of art mediums - use it with pastels, pastel pencils and markers for great results. 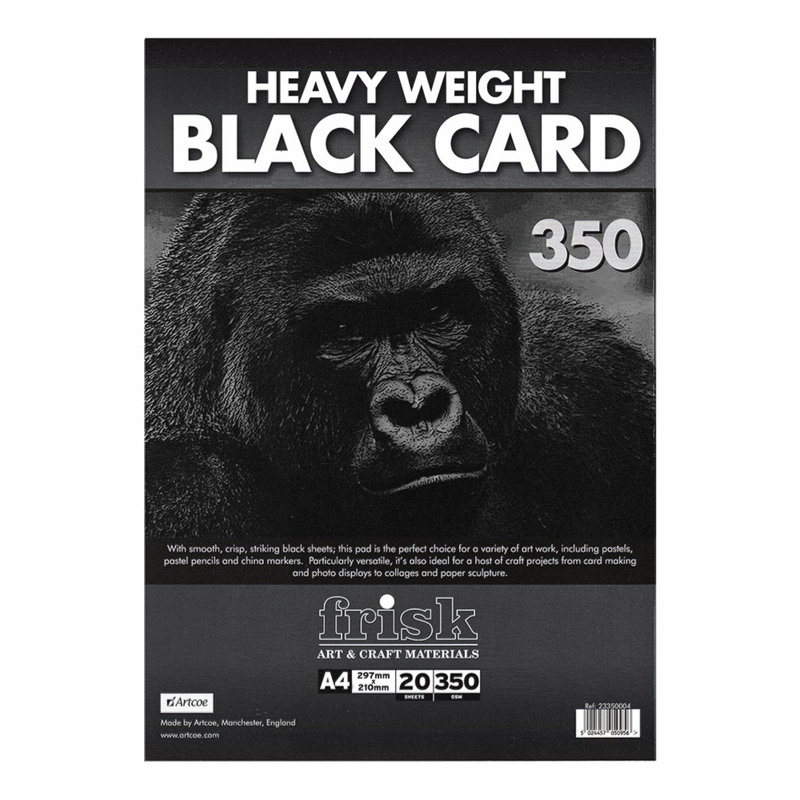 Extremely versatile, this card is also suitable for a variety of craft and hobby applications, such as card making, creating photo displays, collaging and paper sculpture.